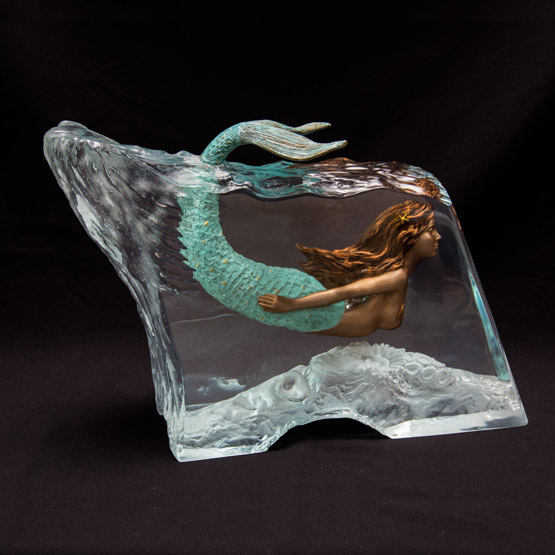 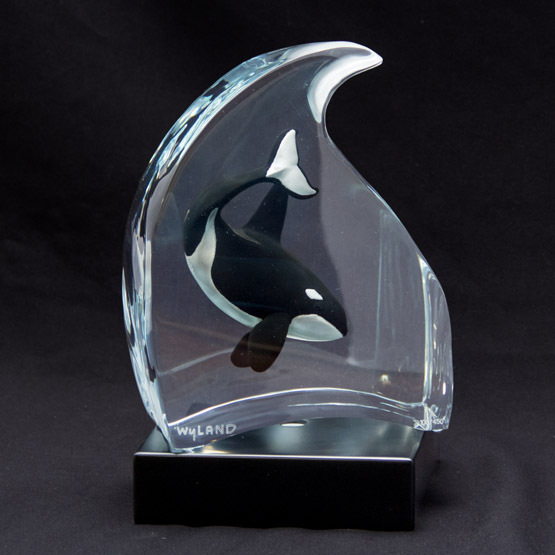 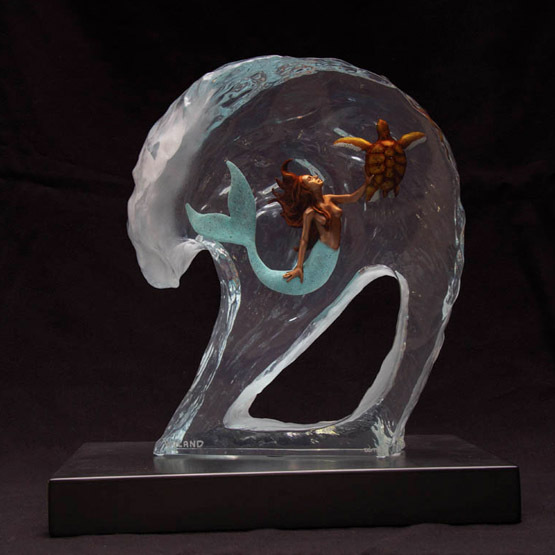 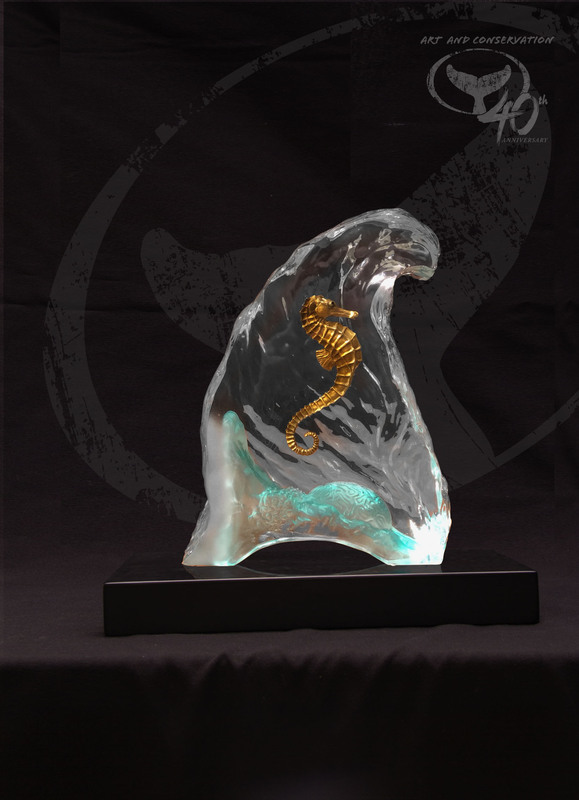 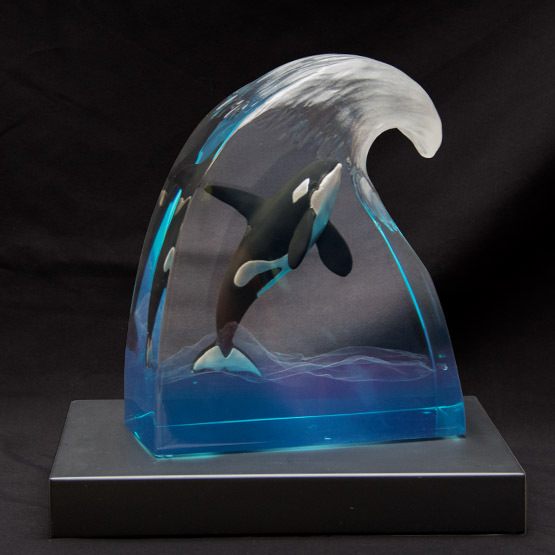 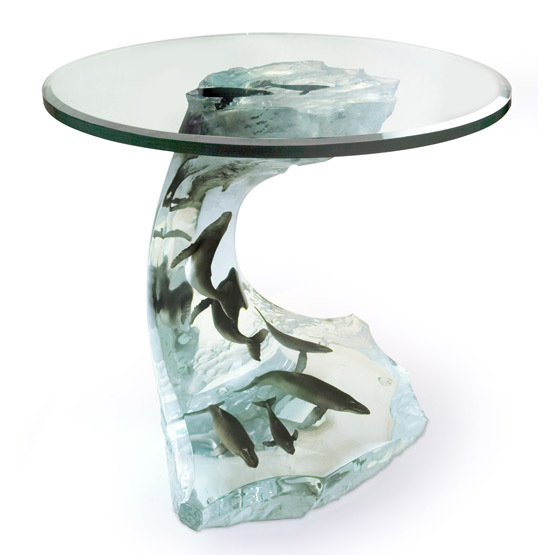 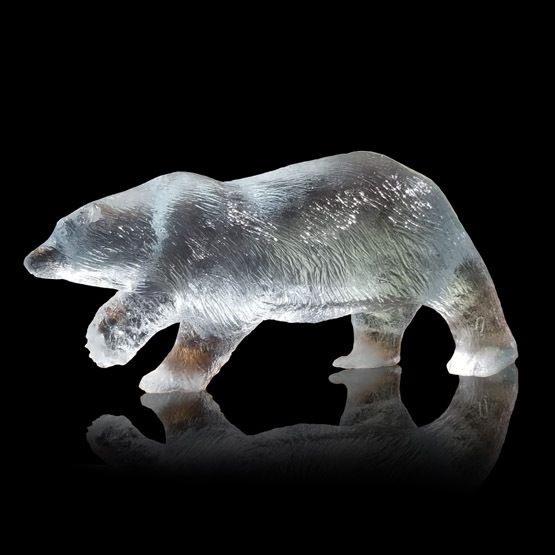 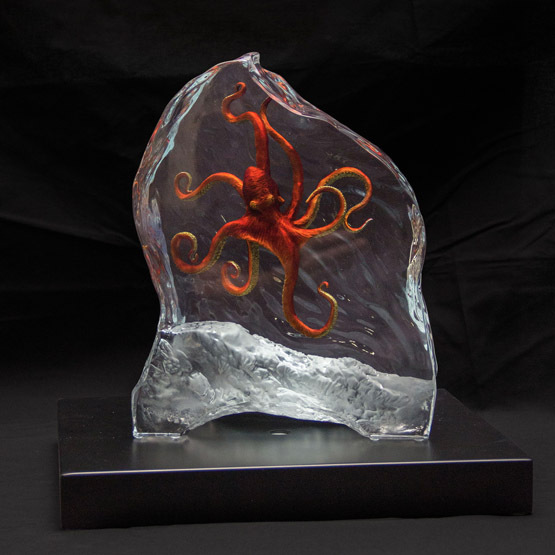 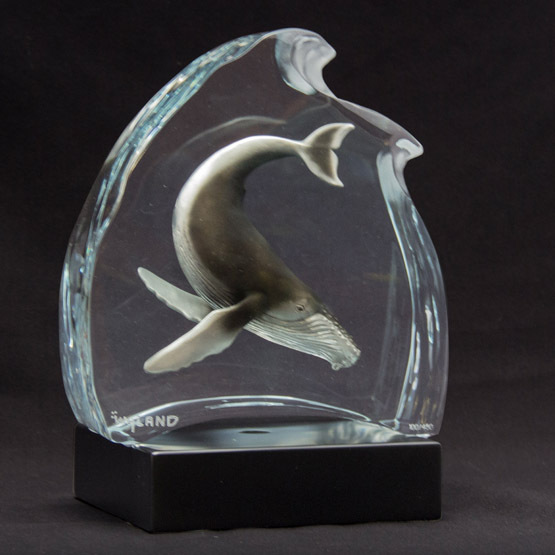 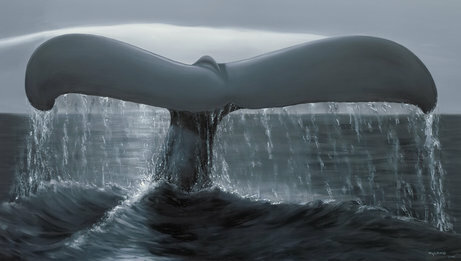 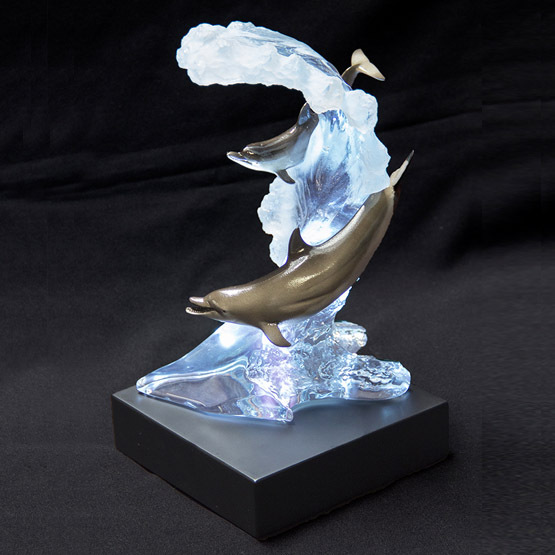 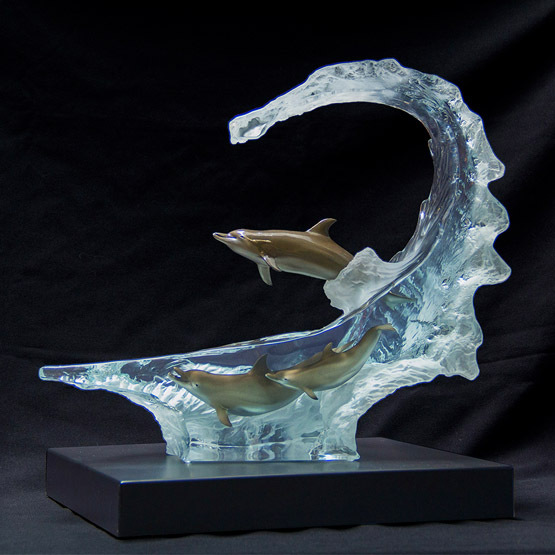 Dimensions: 21.5" H x 23" x 16"
Lucite sculpture has long been one of the most cherished mediums Wyland has ever worked in. 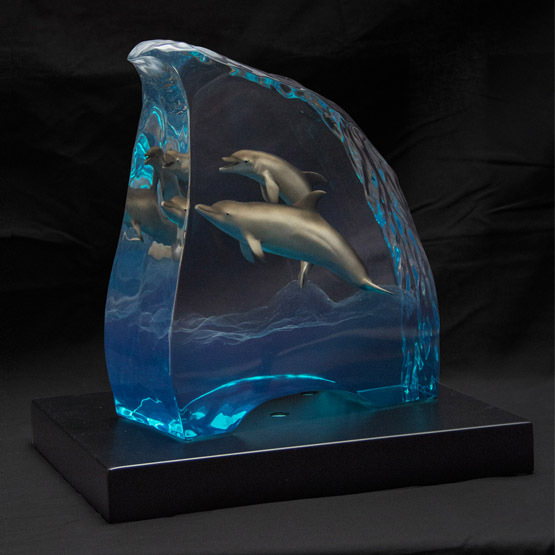 Due to overwhelming demand, Wyland Galleries is now re-releasing some of the most popular Lucites in Wyland history, exclusively for Wyland collectors. 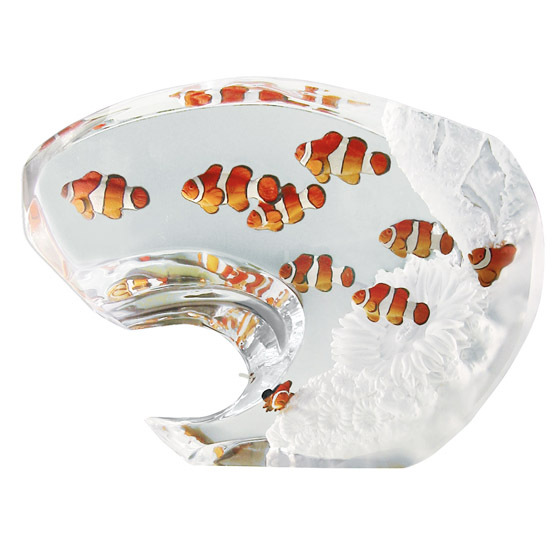 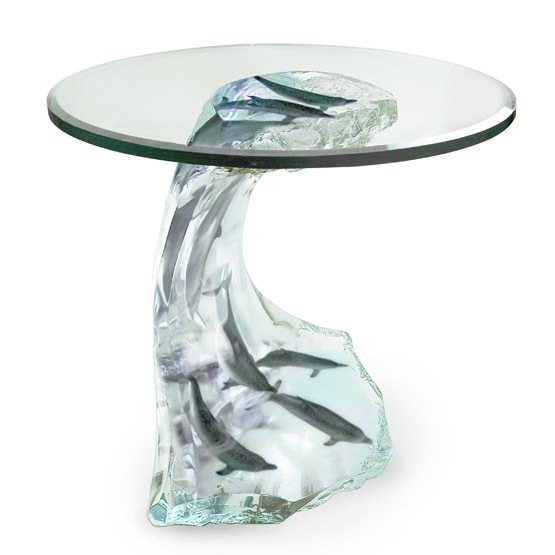 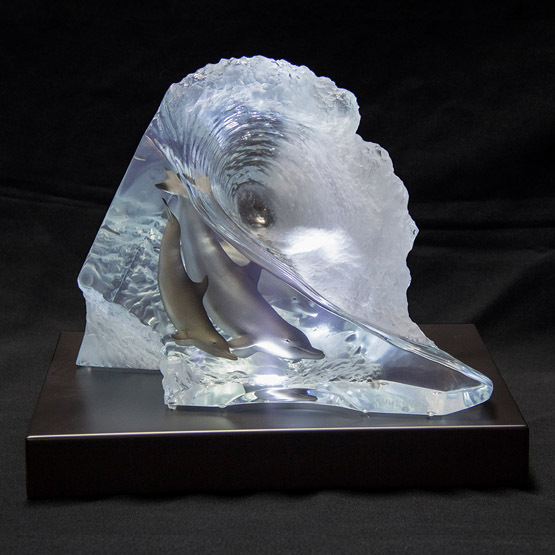 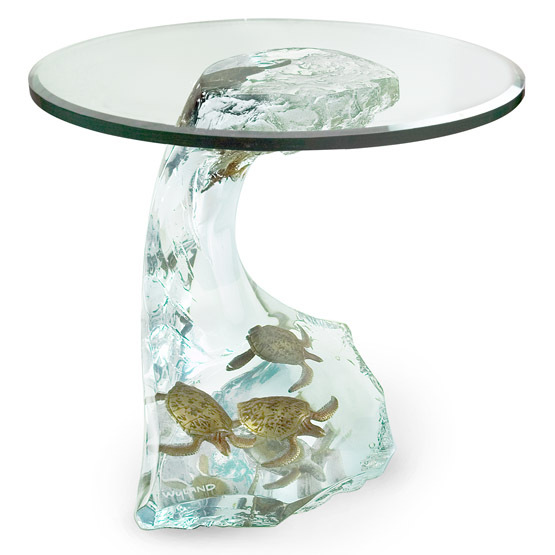 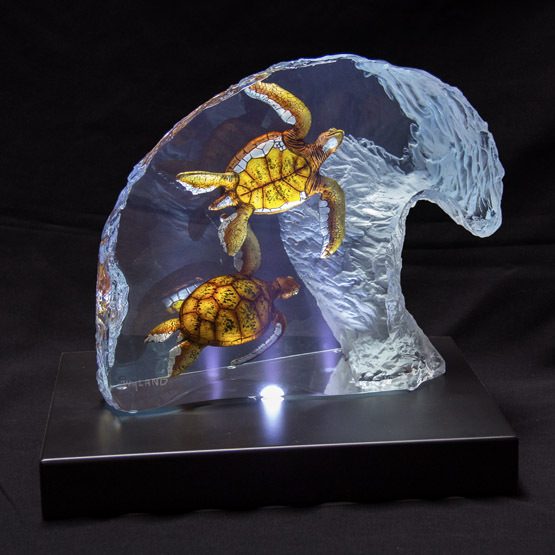 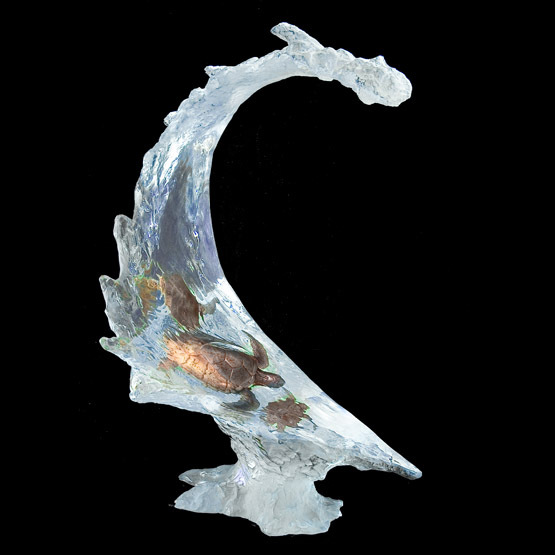 These carefully crafted three-dimensional pieces combine Wyland’s signature sculptured marine life suspended in hand-carved Lucite to capture the spirit of marine life in a way unlike any other medium. 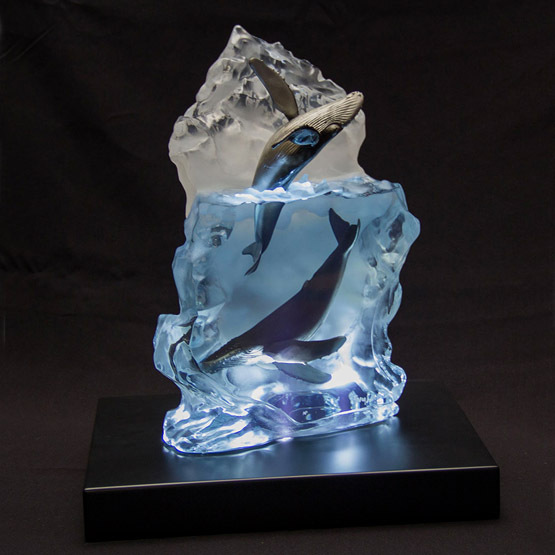 Each edition can be placed on a lighted pedestal or beside a light source in almost any room for an array of fascinating visual effects.